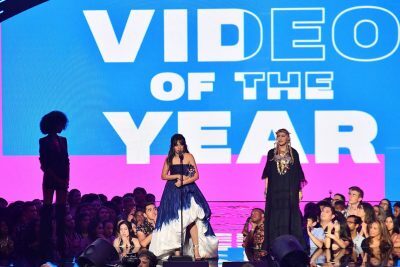 The MTV VMAs 2018 is currently going down tonight August 20, 2018 at the Radio City Music Hall in New York with the winners been announced. Artists that have earned the most nominations include Cardi B, who got 12 nods; The Carters (Beyoncé and JAY-Z) received eight nominations; Drake also got eight; and Childish Gambino got seven. Cardi B had made an opening performance which would be her first after the delivery of her baby, Kulture. Other performers tonight included Ariana Grande, Nicki Minaj, Post Malone, Travis Scott, Logic and Ryan Tedder, and Jennifer Lopez. ICYMI -- @iamcardib opened the 2018 #VMAs!